Whether you’re an amateur or a pro, printing your photos is an essential part of being a photographer. Maybe you need photo-book printing or want to transform your best photographic composition into a stunning piece of wall art. Whatever your need, you can turn to many trusted brands for professional photo printing. All of these brands offer online photo printing services, but some have in-store photo kiosks as well. While some require shipping services, many stores allow you to upload your photos online and then pick them up in person after just a few hours. In addition to printing photos, you can also print unique keepsakes, such as mugs, calendars, magnets, and much more! When picking photo printing services, keep your end goals in mind. If you need a same day photo printing services to meet a deadline, you’ll want to choose a store near your home or work. A search for “photo printing near me ” will show you the best local options. However, if you’re blowing up a photo for wall décor, you’ll want a vendor that specializes in that style of photo printing. If you want a unique gift for someone—whether a sweetheart, a teacher or a colleague—you may want to check out several photo printing sites for gift options. When cost is a consideration, shop around for the cheapest photo printing option available. Whether speed, quality, or lowest price is your objective, you can find the ideal solution. You’re sure to find the best photo printing service for every need from our list of top photo printing websites. If you need inspiration for new photography ideas, exploring print vendors can give you great ideas. There’s a vast array of photography product options available that include everything from books and cards to tableware, clothing, and pet gifts. Use your explorations to fuel new creative photography pursuits! Walgreens is a popular source for same-day photo printing for a broad selection of products. 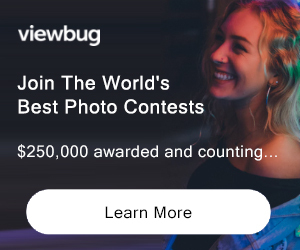 On Walgreens.com, you can upload your images and select from quick-turnaround products such as wallet-sized or regular size prints, collage prints, posters, banners, and wood panels. Other same-day services include film processing and home movie to DVD conversion. 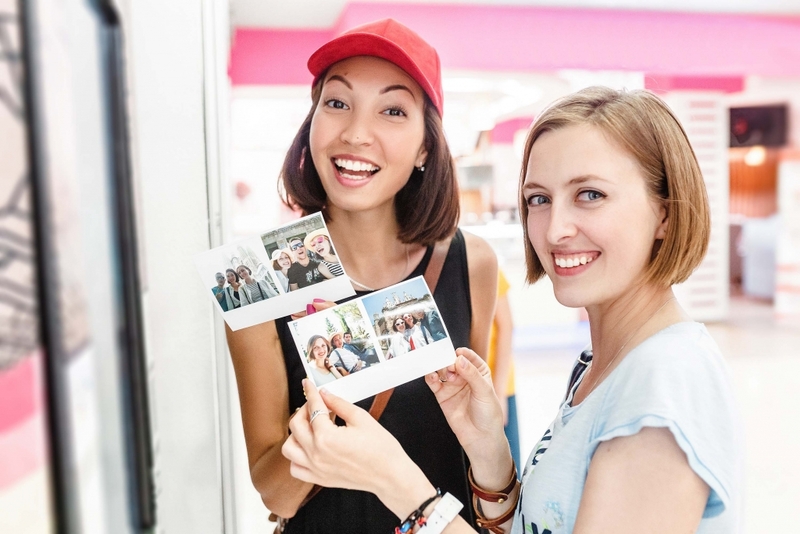 If you need to send special greetings or announcements, you can rely on Walgreens for a comprehensive selection of photo cards printed on heavyweight cardstock. Whether you need a birth announcement, thank you cards, party invitations, or other card types, Walgreens photo offers easy-to-use templates to help you create standout designs. Popular home décor options—such as canvas prints, posters, and metal prints—are also available. Look for unique items such as cutting boards, floating wall frames, and porcelain plates to find the perfect present for everyone on your gift-giving list. Megastore Walmart takes pride in having a wide selection of life necessities under one roof—and that includes photo printing options. One of its most popular offerings is same-day prints that are available just one hour after ordering. You can visit Walmart.com online to upload prints and place your order, then pick up at your local Walmart photo center. Not only does Walmart offer same-day photo prints, but the company also provides same-day options for gifts, cards, and passport photos. Need last-minute photo cards or invitations? How about quick-turnaround posters, banners, calendars, or foam board prints? Walmart has you covered. If you aren’t in a rush and looking for photo products or gifts, you have even more choices. Check out the Walmart photo website to view its broad portfolio which includes wall art, desk art, pet gifts, jewelry, blankets, photo books, and many other items. CVS Photo offers same-day printing on a wide variety of products, from photo prints and enlargements to collages to mounted photo printing and banners. In addition, you can order framed prints and posters and have them shipped to the store—for free—within five to nine business days. For digital photo printing, you can select from standard sizes, such as 4×6, 5×7, and 8×10 or select a 1:1 aspect ratio for 6×6 or 8×8 photos. If you prefer classic photography methods, you can bring film or negatives to CVS for printing on traditional photo paper. In addition to photo printing, CVS provides other value-added services, such as passport photos and conversion of old movies and tapes to DVD format. CVS routinely offers great money-saving deals for online photo orders. These can include special pricing on select products or a limited-time discount on your entire order. To stay in the know about these special promotions, you can sign up for emails. For effortless order tracking, you can download the CVS app. This handy tool lets you keep tabs on your photo order with your phone or directly from your Facebook account. Founded in 1999, Shutterfly helps people print personalized photos and create keepsakes to preserve cherished memories. Through the Shutterfly website or photo printing app, you can upload your favorite pictures. The company offers free, unlimited storage and never deletes any customer photos. And Shutterfly guarantees that they’ll retain the resolution and image quality of all your uploaded photos. Also, Shutterfly runs frequent promotions for customers who sign up for new accounts. You may be able to get quality items like prints, magnets, or address labels for free when you sign up. Other deals and discounts are always available, too. Shutterfly has made its make as one of the best online photo printing sources for creative photo gifts ideas for family and friends. Shop for items such as tea towels, personalized storybooks, tote bags, phone cases, trivets, and drinkware. Whatever the occasion—from birthdays to housewarming parties to graduations—Shutterfly has options for meaningful and memorable photo gifts. If you’re shopping for a gift for your four-legged best friend, Shutterfly offers customized pet beds, bowls, collars, and more. Taking pride in its commitment to customer happiness, Shutterfly aims to provide quality prints and gifts at reasonable turnarounds. For last-minute gift-giving needs, Shutterfly offers two-day shipping on select items. With more than two decades of photo printing experience, Snapfish seeks to provide top-quality photo products to customers. The company seeks out the best photo papers, inks, and materials to ensure customers receive high-caliber prints and keepsakes at a good value. As further evidence of its commitment to quality, Snapfish photo experts carefully inspect every customer order by hand. Snapfish aims to provide photo printing services that appeal to a wide range of customers—from newbies to professional photographers. The company prints photos from smartphones, point-and-shoot cameras, DSLRs, and other high-end cameras. For prints, you can select from standard photo print sizes, square prints, large prints up to 20×30 inches. Photo printing prices for these items start at $0.9 per print and increase by size. The company also offers an array of specialty prints including collage prints and large frame posters. Snapfish takes pride in its extensive portfolio of photo gifts such as water bottles, journals, pillows, jewelry, and tote bags. Card and book photo printing services are also available. A members-only warehouse club, Costco offers a broad selection of photo products for customers. You can opt for prints and enlargements, or relive special memories with custom photo books. For truly special photographs, you can turn them into works of art with museum-quality acrylic. Canvas and metal prints are available to make your memories into eye-catching home décor. If a softcover photo book is on your wish list, you can create one with ease via the Costco mobile app. Simply add photos and let the app suggest layouts. You can make adjustments to perfect your photo book and send to print with just a few taps on your smartphone screen. Costco offers next-day pick up at select locations for some orders submitted through its photo printing site. If you opt to have your order mailed, you can expect to receive most items within five to seven business days. You can check on the status of any photo order within the website. In addition to printing for personal use, Costco offers a broad range of business printing services. You can use your photos in postcards, signage, posters, brochures, business cards, and more. Costco uses premium papers to ensure high quality for all its business customers. Kansas-based Mpix is a photo lab with a strong commitment to creating handmade photo keepsakes for customers. The company takes pride in its top-quality designs, quick shipping on prints and photo cards, and strong devotion to customer service. For every print order, a Mpix technician performs an expert review to ensure quality and color accuracy. The company offers prints of every scale from wallet-size photos all the way to poster prints. If you’re seeking photo cards for a special occasion, you’ll find a big selection of easy-to-use templates and can craft DIY layouts as well. And if you’re on the lookout for a truly unique photo gift, Mpix is a good choice. You can order playing cards, statuettes, keepsake boxes, wall clings, holiday ornaments, and more. To keep memories of your young athletes’ sports glory alive, you can order sport-specific mementos and souvenirs. Due to its intense focus on service and quality, Mpix has earned 4.8 stars out of five and many rave reviews for delighted customers. Frequent Mpix customers can use the company’s rewards program to earn points towards special offers and discounts with every order. A popular shopping destination, Target offers many convenient photo printing online services. To take advantage of Target’s many print-to-store options, you can upload photos directly from a phone, computer, or even straight from your Facebook account. When your order is ready, you can visit your local Target store for pickup or choose to have your order shipped directly to your home. You can also upload photos from your phone into a kiosk at your local Target store and select from a variety of popular print options in just a few minutes. What printing services does Target photo offer? You can choose from standard prints, panoramic prints, photo cards for any occasion, wall décor, and stationery. Target online also sells an array of customizable photo gifts including puzzles, ornaments, playing cards, and luggage tags. Shipping time varies by product, with canvas prints, framed panoramic prints, and home accents shipped within five business days. Other products ship in just two business days. Two friends built a business focused on photographing college students but had difficulty finding a resource for high-quality photo printing at the price and turnaround they desired. That need led the two professional photographers to start their own digital photo printing services business—and Nations Photo Lab was born. In a few years, the company became the fastest-growing photo lab in the United States with a team of artists, photographers, and photography enthusiasts. Today, the company brings its love for photography and visual arts to more than 100,000 customers through its online printing services. It offers a full array of prints—including unique options for linen prints and special senior graduation photo products. In addition, Nation’s Photo Lab is a source for photo albums that range in size from 5×5 to 12x 12. You can also order hard-bound photo books that feature archival quality inks and hand-stitched bindings. These premium quality books can become treasured heirlooms that endure for years to come. Alternatively, you can use this high-caliber photo book service to self-publish your own book of your best photography. A popular venue for memorable photo gifts, Nation’s Photo Lab offers keepsakes for every holiday and provides unique gift items such as charm bracelets and compact mirrors. You can also shop Nation’s Print Lab for photo bookmark printing. Various styles and sizes of wall décor are also available. Based in the Midwest, supermarket chain Meijer is another popular purveyor of photo printing services. Through Meijer, you can pursue photo book printing or create wall décor, calendars, cards, and personalized gifts. As part of the brand’s commitment to convenience, they offer one-hour and next-day printing guarantees for many photo products. You can upload photos through the Meijer website or app, order prints, and pick them up in store. After creating an account, you can organize your images into albums for easy reference. You can also perform some basic edits, such as red-eye reduction, before sending photos to print. If you need assistance with a submitted order, Meijer lets you track orders online or connect with live help. Amazon is a popular online shopping destination for everything from clothes, to specialty food items, to everyday life necessities. The cyber-shopping powerhouse also lets you upload and print photos through the Amazon Prints section of their website. From the main menu, navigate to Amazon Photos and Prints to explore its wide array of printing photo services. You can select from photo prints, hard and soft cover photo books, calendars, and more. Amazon also lets you turn special memories into unique photo gifts, such as mouse pads, mugs, and fleece blankets. And you can also print several styles of wall décor, including large prints, aluminum prints, and wood panels, to brighten every corner of your home. In addition, you can print cards for important occasions, such as engagement announcements, weddings, and kids’ birthdays, along with post-event thank you cards. If you’re feeling especially creative, you can design custom cards that show off your personal flair. Customers who subscribe to Amazon prime can get free standard and expedited delivery services for every print order. Those who aren’t Prime members pay just $4 for standard delivery on orders under $15 and receive free standard delivery for every order over $15. Want to be one of the first to know about any new products or special photo printing deals and promotions? Subscribe to the Amazon Prints newsletter for all the latest happenings. Office supply vendor Staples offers specialized photo printing services at its copy and print centers. Some items—such as cards and calendars—can be available in as little as four hours after you upload your print order to the Staples website. For cards, Staples lets you choose from a wide variety of design options on its website with both vertical and horizontal orientations. The company includes blank envelopes with every photo card purchase and allows you to order low minimum qualities. If you opt for photo book printing, you can choose from an array of covers and layouts available online. Typical book printing orders are available in as little as three business days. Staples also offers canvas photo printing. However, for this option, you’ll need to visit a store to place your order. Not only does HP sell a line of home printers, but the company also offers its own printing software and services. Called HP Photo Creations, HP’s photo printing software is available for download for both Windows and Mac operating systems. With HP Photo Creations, you can design photo books, cards, calendars, photo collages, and other items. You can choose to use your printer at home or let HP handle the printing and ship to you. HP makes layout intuitive with more than 1,800 designs and 1,300 graphics. Its Photo Creations software also includes custom fonts, boxes, borders, and other design tools you need to turn your special memories into one-of-a-kind masterpieces. A popular source for business and home office supplies, Office Depot also provides photographic printing services. On the Office Depot website, you can upload your favorite images and select your preferred print options. You can make hardcover or softcover photo books in several sizes or create photo cards and announcements. If you’re looking for a photographic wall hanging, Office Depot offers calendars, mounted posters, and canvas prints. And standard prints and enlargements are available. With Office Depot, same-day service is an option for many items—but not all—if you submit your order by 2:00 PM. For prints, you can order up to 3,000 black and white images or 1,000 color photos and still receive same-day service. Other types of print services have quantity limits as well. Before submitting your photo printing online order, it’s a good idea to check with your local store locations when seeking same-day service. Think Fed Ex is solely a shipping service? Think again. The popular parcel carrier also offers photo printing through its website and store locations. It’s easy to create an account and start a photo printing online order. At a FedEx store, you can access photos via the cloud or social media, or use a phone, smart devices, or USB to upload photos. You can also scan hard-copies of photos to transform them into digital prints. When shopping online or in store, FedEx lets you choose several types of large-scale prints, including canvas prints, posters, and backlit posters. Both gloss and satin finishes are available for posters. To ensure quality and durability, FedEx mounts posters on a rigid board. If you want to transform a corner of your home at minimal expense, you can choose canvas prints. Often, FedEx can have your canvas prints available in 24 hours or less. All you need to do is upload your favorite photos, select a size, and choose a pick-up location for your canvas prints. You can go from bare walls to a gorgeous collection of your personal photographic artwork in less than one day. A wholesale club with more than 200 U.S. locations, BJ’s makes it easy to order prints and enlargements through its online photo printing center. Through the BJ’s website, you can upload photos from your computer, laptop, phone–or direct from social media sites, such as Instagram and Facebook. You can select photo print sizes from 4×4 all the way up to 30×20 and opt for a matte or glossy finish. Also, BJ’s offers creative photo printing options, such as collages, bordered prints, and wallet-sized prints. You can also design your own custom photo cards or use templates for popular holidays, including Mother’s and Father’s Day, Halloween, and New Year’s Day. If you’re celebrating a new baby, birthday, or graduation, you can rely on easy-to-use photo card templates to share your happy news. All cards come with envelopes to make mailing a snap. If photo gifts are on your list, you’ll find some unique options at BJ’s. In addition to classic photo-book printing, you can choose games, luggage tags, and kitchenware. On the BJ’s photo site, you’ll find helpful image editing and photo printing tools to perform minor enhancements to your photos. You can store photos within a photo album in your private BJ’s photo account indefinitely, as long as you log in and view the photos at least once every six months. When it’s time to print photos, you can choose from a wide selection of top-name brands. It’s a good idea to become familiar with several options so that you can make smart decisions about photo printing services. When choosing a photo printing service provider, think about your specific objectives. Do you need same-day turnaround? If so, try stores near your home, such as Target, Walmart, Walgreens, or Meijer, Costco, or CVS. Is specialty printing your priority? If so, consider photo labs like Mpix or Snapfish. Remember that Amazon Prime members can get free expedited shipping on orders over $15. That deal on shipping costs, combined with Amazon’s low per-print price is one way your photo costs low. Always be on the lookout for special deals and promotions from your favorite photo printing vendors. Some photo printing websites offer discounts just for signing up, so it pays to shop around. Convenience and price are not the only factors in selecting a print service provider. You should explore different print products, styles, and sizes. While items like photo books and cards are common, you can find unique items like wall clings, collages, backlit posters, and more at various venues. You can also custom-design pillows, tableware, tote bags, and pet products to make the most of your special photos. One of the great benefits of online photo printing services is that you can use a software program with built-in templates and designs to create lovely photo layouts. In many cases, all you need are basic skills, like the ability to upload and drag and drop photos and add text boxes and overlays to create beautiful photo designs for every cherished memory. With all the custom photo printing options to choose from, you’re sure to find creative ways to use your favorite photos. Whether you want to brighten a wall in your own home or share a personal gift to make a friend, colleague, or loved one smile, use your photos as a source of creative inspiration.